Michigan AD Dave Brandon recently sat down with Crain's, a Detroit business news organization, to discuss a number of things. 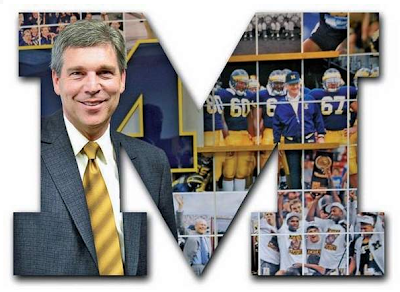 Most importantly, protecting Michigan's brand. It's a pretty good read if you have a few minutes. He also spoke about a few other topics. Here are some videos from the story. The more I hear him speak, the more I love this guy! UM did very well indeed with his hire.